My son was rather anxious to talk to me this morning. He had something to show me that he thought I’d find interesting … It was a book he wrote on the history of our family’s pets … It took him a week to piece everything together and I was very impressed with his work considering the short time frame. It’s definitely my favorite book of the year so far! Shortly into the New Year my brother came off an 8 month music tour he did of Europe and Canada. After this rock stint, he moved into my apartment on the tracks in Long Island City, Queens … We hadn’t lived together in over 10 years, and it was great to finally hang out and get to know each other again. We were both in a great head space. We were doing things we both really loved and getting some recognition for it. My hard work was paying off at the recording studio. While once doing more gopher related duties and setups on several cool gigs, I was given a different challenge. A huge jazz artist booked several weeks studio time, and I was instructed to look after things. The studio was mine and I was to manage the session. Improvisation is the ability to talk to oneself. I wondered what the owner of the studio was thinking. It was definitely the biggest booking he ever had. Wanting me to basically live there for 3 weeks and manage this gentleman’s needs was a going to be a wild ride. I wasn’t star stuck … Perhaps that’s why he had me on the meet and greet … I guess I seemed able to keep my cool. The session turned out to be a very interesting test for me as I had to arrange, pickup, move and deliver all types of gear. I met many musicians that at the time I truly admired …. I tried my best not to look too awestruck. My brother came down one night during a brief hiatus. I still had to take and place calls and get everything ready for tomorrow. He was hanging out and then got distracted with some of the written music I was setting up on stands. Without thinking he grabbed a very prestigious musician’s guitar and started trying to play what was on the page. From that moment on, my brother realized that if he wanted to do any session work, he would need to learn to read music better … And boy did he ever study! He took lessons from Barry Galbraith one of the best teachers you could find. My brother really developed a more disciplined style and did a lot of gigs around town … Ones I will describe at a later date. I start in the middle of a sentence and move both directions at once. This had me really excited. While working selling vinyl albums in my teens, I read a lot about Elvin Jones on the sleeves. I had seen Tony Williams at The Bottom Line late last year, and now I was going to the village to see another living jazz legend. John Coltrane was touring in San Francisco when he flew back to New York to look for Elvin. 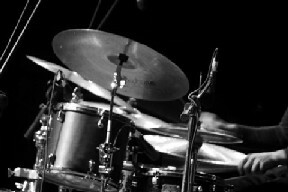 Jones then joined one of jazz’ most celebrated artist. Through 1966, Elvin would go on to contribute to some of the most controversial, influential, and ultimately important music in jazz. I’ll play it first and tell you what it is later. The events leading up to me remembering that evening are somewhat cloudy for many reasons … I recall seeing this giant of a man improvising away with a bass and sax player that I cannot recall at the moment… Probably because Elvin Jones’ sense of timing and pure massive presence had me glued. The way he brought his drumset to the foreground. and his free-flowing style with that grunting was an incredible moment for me. A very fortunate perk I had during that session way back when. In later years Jones continued to teach and often took part in clinics, played in schools, and gave free concerts in prisons. His lessons would incorporate music history as well as drumming technique. After an incredible career, on May 18th, 2004 Jones died of heart failure in New Jersey … And now it seems like I am closing in on my two hour window for this article. I have a few more minutes left to publish it … It’s sure was a blast from my past. If you have enjoyed this particular piece it is because of my son’s knack for improvising. I hope this can live up to beautiful memories he provided of me and our family pets. Sometimes I have a hard time expressing how I feel to the people who matter most, so this article is dedicated to my son, who I hope will help me improvise more as time moves on … Son I’m proud of you. Great post … Really enjoyed that. Glad you enjoyed that Greg. A few days ago my son was supposed to be doing his homework in his bedroom, instead he was wearing sunglasses and listening to jazz radio. So I guess there’s a few people digging this piece.